The cost of a neighbourhood’s security is getting expensive by the day because security issues for private premises are under the purview of its community, and for most of the time the residents are left to make that decision with limited funding and expertise. Having some tips on security deployment would help those involved to make informed decisions or this could also lead to further study on the related areas of interests. One area of security that all neighbourhoods cannot do without is security surveillance because obviously a video tells a better story and the security guards in-charge can also monitor the critical assets and areas better with security surveillance deployment. Let’s explore some of the questions a neighbourhood needs to ask about security surveillance implementation and find out the answers below. What kind of cameras and surveillance system that a residential should look out for? It doesn’t matter what brand of cameras your neighbourhood is planning to buy. The important thing is to focus on the camera features. Here are some of the latest camera features you could consider for your neighbourhood’s security surveillance cameras. You don’t necessarily have to deploy a famous brand or expensive cameras but these are the features you should ask for in a surveillance camera. Remote Viewing: This feature might not be available in the past but it has been a common feature these days, complete with apps and interfaces that enable user to view the images from smartphones and PC easily. Infrared Vision/Good Night Vision/Day Camera: It is very important for the cameras to be able to provide clear pictures even in total darkness. Thus, choose cameras that have infrared night vision to provide decent pictures in total darkness to distances and definitely, the cameras have to work well during the day too. Motion Activation: This is a feature that starts recording if motion is detected. The advantages of this feature among others is to record movements only when there is some movement occurring; it could save the recording space and also save the cost of operation. For 24 hours surveillance, this feature definitely needs to be considered. Weatherproof: For outdoor installations, you need to choose weatherproof cameras that are strong and sturdy in order to save you cost in the long run. Easy to Install: Do not choose cameras with complicated installation because it’ll do you a disfavor when the installation charge is high. Choose the ones that have straightforward configurations in terms of camera settings and remote monitoring. How many cameras should a residential purchase to surveil a neighbourhood? It all depends on your neighbourhood’s budget and requirements. Don’t overdo it by installing many unnecessary and overlapping cameras. Rather, you should choose cameras with great coverage in terms of distance and range. What are the effective locations to install the surveillance cameras? 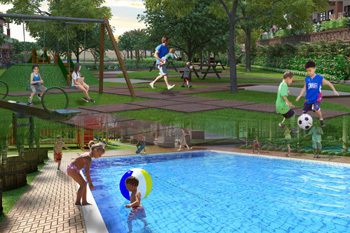 Communal Areas such as gymnasiums, clubhouses, playgrounds, swimming pools, etc. Entrances and Exits including the guardhouses with an emphasis on recording the legible license plate images, the main entrances of the residential, the parking areas, etc. 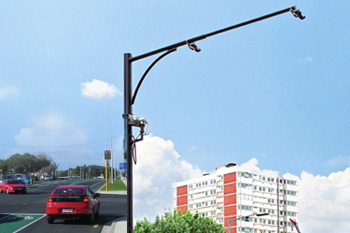 Main Street Intersections, the main neighborhood entrance roads or intersections, with an emphasis on recording / capturing the license plate of vehicles and for gated communities, surveillance cameras integrated into gate controllers or intercom systems for the purpose of visually logging entry. 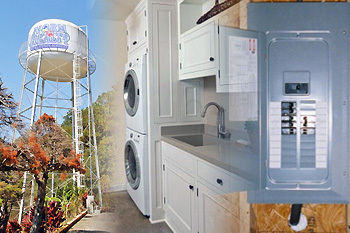 Utility Areas like water tank, building main electrical panels, laundry room and etc. 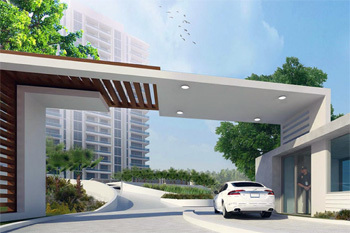 What should a residential consider in networking when it comes to security surveillance? Survey your neighbourhood’s networking connectivity to find out what other hardware or services you need to deploy to have a seamless security surveillance system for the benefit of the neighbourhood. How to avoid or tackle vandalism? This is a difficult issue to take care of because it could happen unexpectedly and there’s nothing the neighbourhood can do to avoid it from happening because when teenagers want to throw rocks at a camera, they will. On the other hand, the management can lessen the effects of vandalism by choosing tampered cameras like dome-type cameras instead of bullet-cameras. You don’t have to install all the cameras into dome-type if you have limited budget, the cameras inside a neighbourhood that are less prone to vandalism could still use bullet-cameras. Another thing to note is to make sure that the installed cameras are less obvious to the public. For example, install a white camera on a white background to better camouflage it. What other areas of considerations a residential needs to take care of in security surveillance? Please do not underestimate the role changing landscape in video surveillance. Make sure that your neighbourhood’s security surveillance cameras installation can adapt to the changing of the landscape or you might have a problem in the future which could cost you more money. 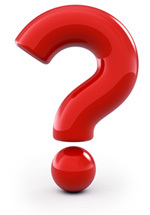 What other questions a residential management needs to ask? Questions like who will be trained on system operation, people that are permitted access to videos, the duration of a recorded video, and etc. While there are no standard replies for these questions, don’t forget to address it when your neighbourhood is considering to install a security surveillance system. Do document all the answers in order to help prepare for any future legal issues that need to be mitigated.